Sri Lanka's largest urban wetland, the Muthurajawela Wetland Sanctuary, provides many important ecological services to our country, particularly to the area off the North coast of Colombo up to Negombo. Many local and foreign tourists value it for it's contribution to the eco-tourism, being a top bird-watching location within the metro Colombo region and minutes from the International Airport. Sadly, the most important ecological services it provides goes under-appreciated and unreported. Muthurajawela Wetland acts as a natural hatchery to the many different species of fish inhibiting Negombo lagoon, thus supporting livelihoods of thousands of fishermen in this major coastal region. Further, it acts as a natural flood control buffer zone for the surrounding low-lying towns such as Delatura and Bopitiya. However, with only a small fraction of the total Wetland officially granted "Protected Sanctuary" status, the remaining wetland is filled for various purposes by both private and state institutions on a regular basis. Alas, our decision makers have failed to see and protect this Natural Heritage. The Board of Investment on a letter to the Department of Wildlife, has requested up to 600 acres or a third of Muthurajawela Wetland Sanctuary to be given for various commercial projects including a Golf Course, Luxury City and Railway line. While development is important, it should certainly be carried out in a sustainable approach. Filling our country's most important urban wetland, worthy of UNESCO World Heritage Site listing, for such projects is definitely not the sustainable approach. An online petition currently signed by more than 500 concerned citizens and tourists, calls for an immediate halt to filling Muthurajawela for the above project. During his recent speech at the 31st National Conference organized by the Sri Lanka Institute of Architects, Ministry of Defence and Urban Development, Mr. Gotabaya Rajapaksa stated "Under a Green Growth program, the remaining marshlands in the metro Colombo region will be protected and biodiversity parks enhanced". This is a timely statement at a time when we should put all our efforts to protect our vanishing wetlands. Therefore, we urge Mr. Gotabaya Rajapaksa, Ministry of Urban Development, Board of Investments, Central Environment Authority, Department of Wildlife and all other relevant authorities, to immediately take measures to ensure this project is not carried out filling the Muthurajawela Wetland, halt the destruction and expand the Protected Sanctuary to include the full Marshland, North from Negombo lagoon to Kerawalapitiya in the South. 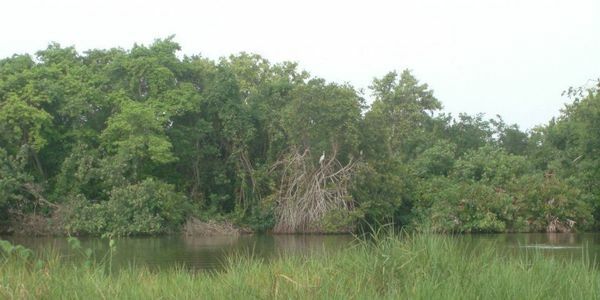 Further to the above measures, a proper eco-system services valuation should be carried out by a professional scientist to measure the true value of eco-system services Muthurajawela Wetland provides to the country and subsequently submit Muthurajawela to be listed as a UNESCO World Heritage site.